Measured Mass | Measure to know. We use lightweight gear to move easily and efficiently in the mountains. It is easy to fall into a heuristic trap and believe that “anything extra will make me slow”, losing sight of “easy and efficient”. After half a season of touring with radios, I am certain that they make us faster and safer. Remember that time you lost your partner in the woods and you each spent twenty minutes looking for each other? What about the time that you lost sight of your partner around a dogleg on an uncertain route; is it safe to follow, or is she coming back up? What about that time you skied first, you had something important to say, and the rest of the party couldn’t hear you? Doug Krause calls radios “an effective means of communication” (n.b. the linked podcast discusses what radios can’t do). He’s right. What can you do with a radio that you can’t do without? You can ski longer pitches at once. You can stop in safer locations, out of earshot and sight. You can tell your partners when you just ate it in deep snow and it will take you five minutes to find your gear. You can communicate with a partner who got too far ahead of you on the ascent. At a ski area, anywhere in the world (check local laws), you can stay connected to your party. 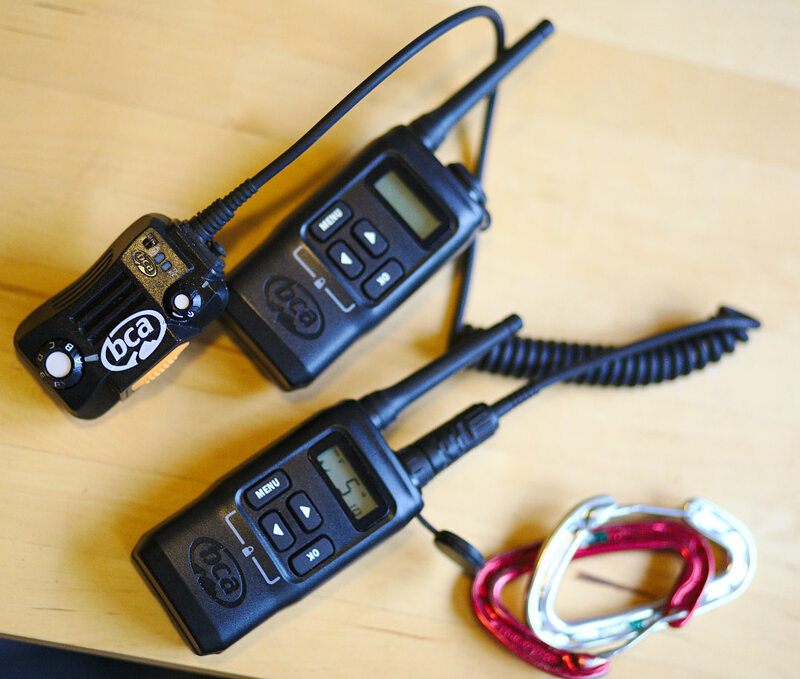 BCA’s BC-Link radio is the current Cadillac of backcountry radios, but simple FRS/GMRS walkie-talkies will get you started for less than the cost of a lift ticket. Try ’em with your partner this winter, and see if it changes how you ski. In this tweet, I see confirmation of that fear. One of my favorite pieces our high-school director selected for our symphonic band was ‘Whatsoever Things‘, composed by Mark Camphouse. It has everything a young trumpet player could love: drama, risk, depth, wide dynamic range, beautiful brass chorales, and, critically, soaring solos. While the score shaped my musical life, what’s mattered more in adult life has been the title. Whatsoever Things are the first two words of a biblical passage, Phillipians 4:8. Though I’m not religious, it has stuck with me since. In both science and personal life, I generally shorten it in my mind to, “Whatsoever things are true, … think on these things.”, but the full passage has more to say. It is a dogged pursuit of things that are true that seems to guide my work, even when it comes at a cost. Tonight, too many times this year, ‘whatsoever things’ resonates. At the celebration for David Thouless’ Nobel Prize today, a few of us got sad news, which we hadn’t yet heard. A few weeks ago, the world lost Debbie Jin, one of the most accomplished experimentalists of our time. Shining among those accomplishments was the first Fermi condensate, for which she might have won her own Nobel. I’ll remember her more, though, for the kind and thoughtful evening she spent with a gaggle of interested graduate students over dinner at Cedars. It was far too soon; she will be deeply missed for decades to come. A week ago, I touched the casing of a B-61 nuclear weapon, an object created by humans with a yield as much as 20 times that of the bomb dropped at Hiroshima. It’s as large in diameter as a big dinner plate, and twice as long as a water heater.